Carter was claimed off of waivers by the Seahawks on Thursday, Field Yates of ESPN reports. Analysis: Carter was one of a few tight ends who were added to the Seahawks roster Thursday while top option Ed Dickson (groin) is sidelined. Look for Carter to compete for a backup tight end and special teams role in Seattle. Carter was waived by the Giants on Wednesday, Michael Eisen of the team's official site reports. 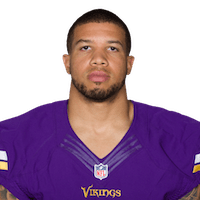 Analysis: Carter was claimed off waivers this spring after appearing in three games with Minnesota in 2017. Should he pass through waivers unclaimed this time around, Carter would immediately become an unrestricted free agent. There are no videos available for Kyle Carter. Click here to view all videos.